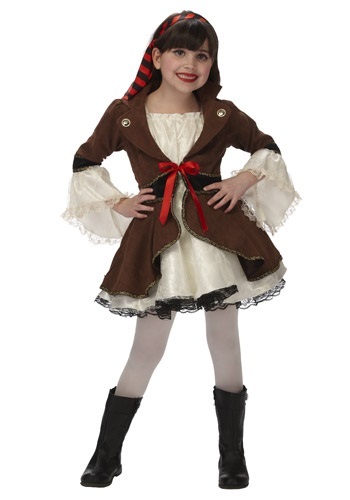 Child Pirate Princess Costume By: Just Pretend for the 2015 Costume season. It's time to hit the high seas and find that buried treasure! Let your little girl become one of the most feared yet adorable pirates of the ocean when she wears this Child Pirate Princess costume. She'll be all set to follow a treasure map to fun this Halloween!